Waiting until you need to take action may be too late to naturally stimulate your pituitary gland’s growth hormone production. This decline can start as young as your late twenties or early thirties depending on genetics and lifestyle habits. You can use sleep, nutrition, and exercise to boost GH. 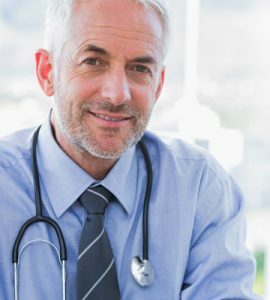 As your body’s production of growth hormone begins to decline you will start to show many of the signs of aging that you do not want. This can include more wrinkles, sagging skin, hair loss, weight gain, exhaustion, forgetfulness, and loss of your lean, toned physique. These are not the only risks factors associated with GH decline, but you get the idea – growth hormone is essential for your body. There are five great ways that you can learn how to stimulate growth hormone right in your own home. Yes, you can make some simple lifestyle changes that optimize your body’s ability to secrete ample amounts of GH. 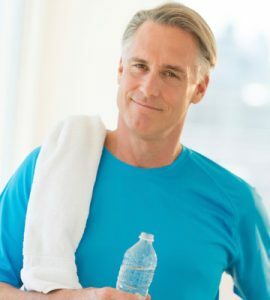 These actions for how to stimulate growth hormone in adults are best started in your twenties or early thirties, but it is never too late to makes changes that can benefit your health. 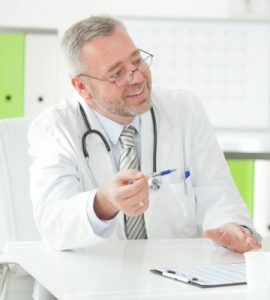 The only difference is that if your GH levels become too low before you start to take care of your body, you may have to supplement with human growth hormone therapy for a while. This will jumpstart the process that can give you back your youthful vitality and appearance. Since GH plays a significant role in cellular regeneration, metabolism, immunity, libido, and brain functions, knowing how to stimulate growth hormone naturally throughout your life can optimize your health, energy levels, and appearance. Why else do you think people who are extremely active continue to look younger than many couch potatoes? They are constantly boosting their GH secretions. When you get older and start to slow down, it may seem harder to take some of these actions, but even the smallest baby steps can help you boost GH production. 1. Sleep – the number one way to increase GH levels is by getting the right amount of sleep at the right time! The body secretes about half of its daily supply of growth hormone during periods of deep, slow-wave sleep – especially right around midnight. The body has an internal clock called your circadian rhythm. The largest pulses of GH secretion occur naturally right before midnight. If you get less than the recommended seven to nine hours a night you will not have enough opportunity for all of the small pulses of growth hormone that helps with processing the day’s activities, metabolism, and immunity. The effects of sleep deprivation can be seen in the chart. 2. Nutrition – you are what you eat, and that is why proper nutrition is next on the list. If you are overweight, you most likely have lower HGH and IGF-1 (insulin growth factor 1) levels. Losing weight has been shown to help increase the production of numerous hormones. Intermittent fasting not only helps with stimulating weight loss, but it also helps boost growth hormone secretion. Many methods of intermittent fasting exist, so it is easy to choose the one that works best for you. 3. Exercise – next up is the right type of exercise. Growth hormone responds best to bursts of high-intensity cardio. Optimize your workouts by incorporating 10 to 15 minutes of movement using 20 seconds high-intensity bursts with 2 minutes of moderate movement – repeat 3 to 5 times. 4. Reduce Stress – cortisol is the stress hormone and the natural enemy of GH. When cortisol levels are high, the body will not secrete enough growth hormones. Turn to yoga, meditation, deep breathing, reading, walking, or any other activity that can help you reduce your stress levels. 5. 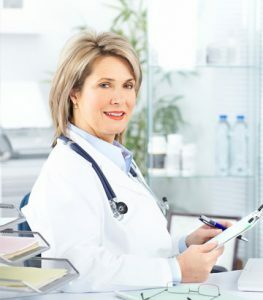 HGH Therapy – if you have symptoms associated with growth hormone deficiency, you need to get a blood test to see if you are a candidate for HGH therapy. By taking the steps listed above for how to stimulate growth hormone secretion, you may be able to stop the decline before symptoms occur. 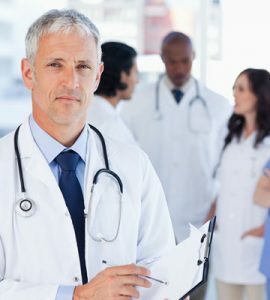 If you are already feeling the effects of GH deficiency, you can turn to the doctors at HT Medical Center for a free consultation, low-cost blood analysis, and affordable treatment options to increase growth hormone levels.